Waking up before 7am to go for a morning run, putting one hundred per cent effort into training sessions and nutrition every day and ensuring that the right amount of sleep is obtained each night is much easier said than done. However, for athletes who are passionate about what they do it is part and parcel of achieving their goals. 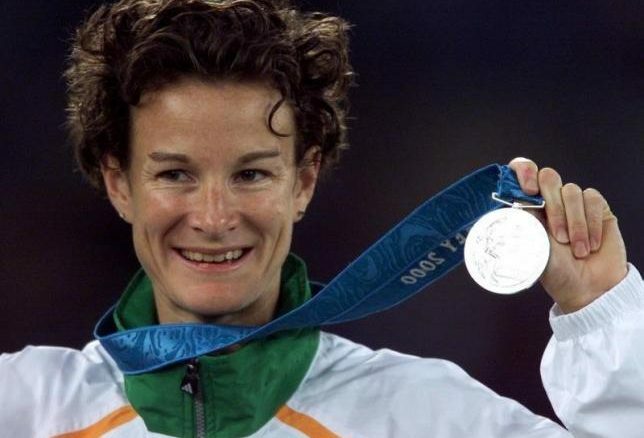 For Sonia O’Sullivan, having a strict training schedule and sticking to it was what she knew she had to do if she wanted to achieve the levels of success she did. She put everything she had into the 1993 World Athletics Championships in Stuttgart; her blood, her swear and her tears. Getting silver in the 1500m is an unbelievable achievement, but O’Sullivan knew she deserved gold. She wasn’t satisfied with the result of the 3000m either when she finished fourth behind these Chinese women who came out of nowhere. The same women who raced against her in the 1500m, but after losing to them in the 3000m she knew she needed to give it her everything to cling onto a medal. Silver was the best she could grab having had the most successful year of her career in training and post race competitions but something wasn’t right. How did these Chinese women come from nowhere to World Champions? Finally, twenty three years after O’Sullivan did Ireland proud in Stuttgart, the truth began to seep out. Revelations are starting to begin and it is looking like O’Sullivan may actually receive two gold medals for both the 3000m and the 1500m as the Chinese women are said to have been doping – something O’Sullivan herself and the fans knew all along. As great as it is to finally receive the awards and recognition she deserved at the time, how can this cheating ever be justified? It is downright unfair to have the spotlight taken away from a deserving athlete at the moment they should have received it. O’Sullivan put her life and soul into her training and races during those World Championships. She was in the best possible shape of her athletic career and deserved to be rewarded then and there for what she had achieved. With grace, she congratulated the Chinese women on their victories and moved on to the next chapter of her life. This kind of unfairness in athletics happens all too often and needs to be regulated more finely. Sonia O’Sullivan is not the first athlete to be cheated out of a medal and she certainly won’t be the last. It is hard to understand the mindset of athletes who dope and can later feel satisfied with winning medals. While the headlines today state how amazing it is that twenty three years later O’Sullivan is likely to receive the medals and attention that she deserved back in 1993, I believe it is an injustice that it took so long for the truth to be discovered – a truth everyone knew in their hearts all along.